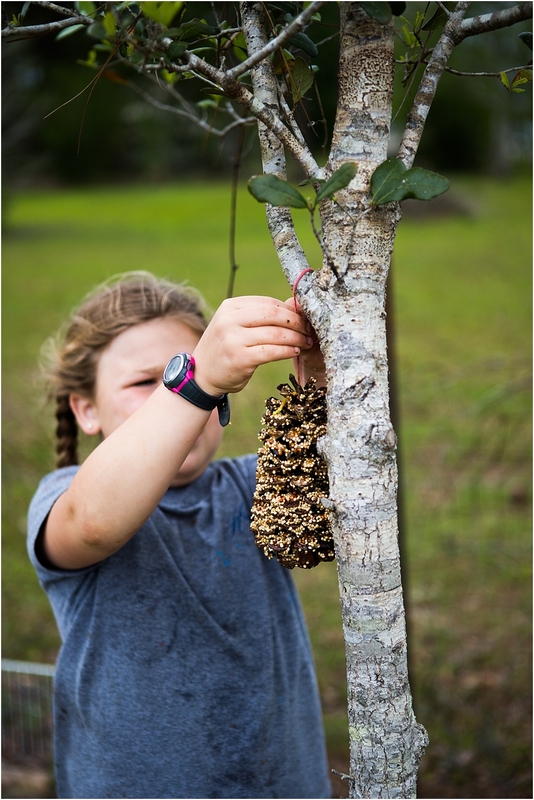 This Preschool Engineering project, building a bird feeder, is fun and enhances early education learning through exploration. Give your young minds materials to engineer and build with, as we learn through this preschool engineering project . 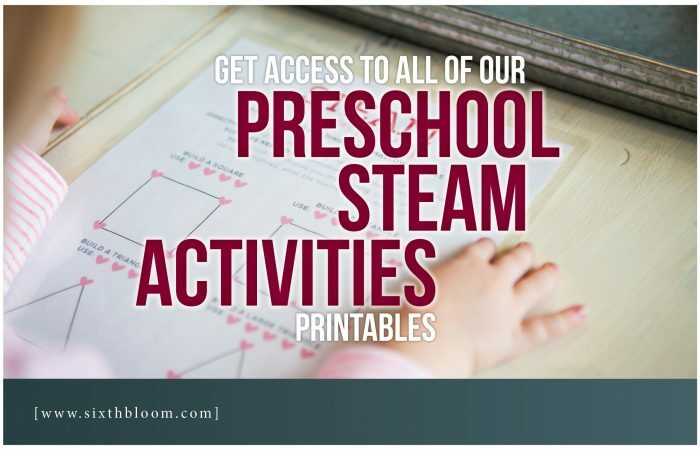 We are firm believers of STEAM activities for preschoolers so you can brighten the future of our little ones world. 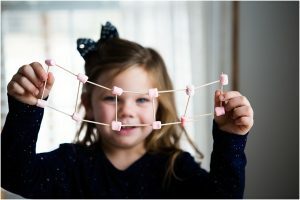 First I’d love to say that as we did this activity every single one of the girls loved it from 2 1/2 years old to 10 years old. It was messy and fun!! Our preschool engineering project of building a bird feeder has only built on top of our other projects. For instance we engineered and built snowflakes this past winter. What we learned through this activity only solidifies what we are doing on our next engineering project of building a bird feeder. Each activity only benefits the next and the next and the next. 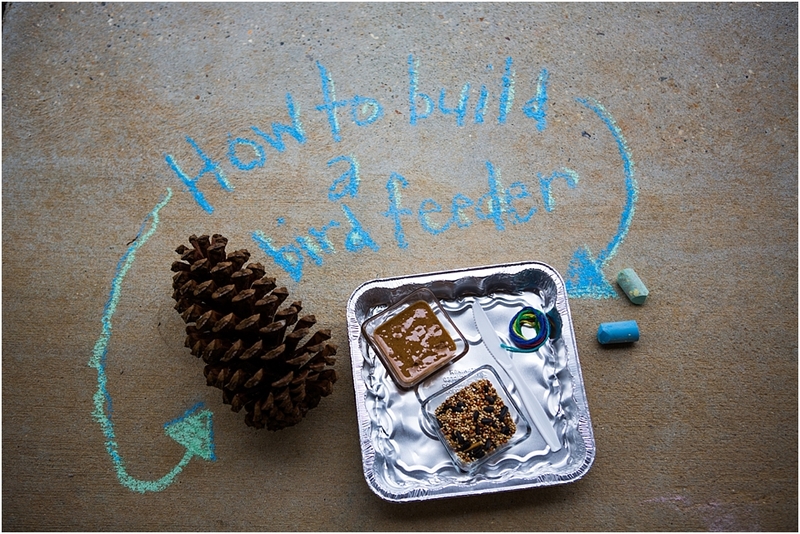 Before we started the engineering project we talked about what we were building – a bird feeder. 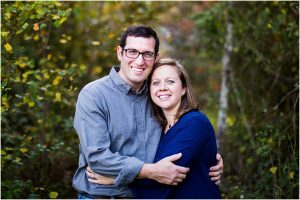 This opened up our discussion and gave us ideas to talk about – use these questions that we discussed to spark interest in your preschoolers minds as well. 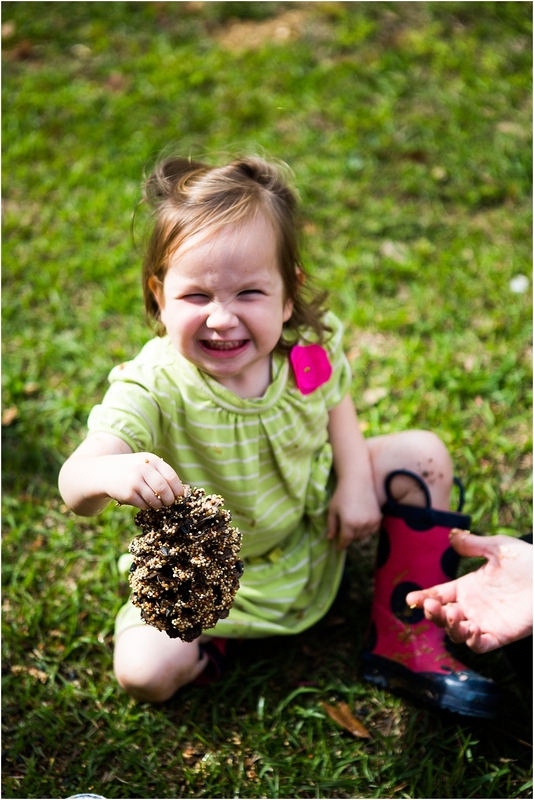 How are we going to get the bird seed to stick to a pine cone? 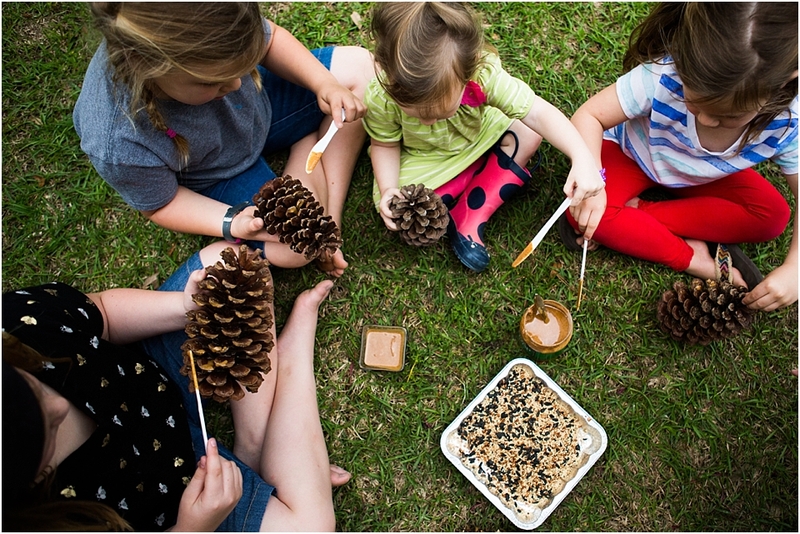 They came up with the “sticky substance” being peanut butter – would be our “glue”. 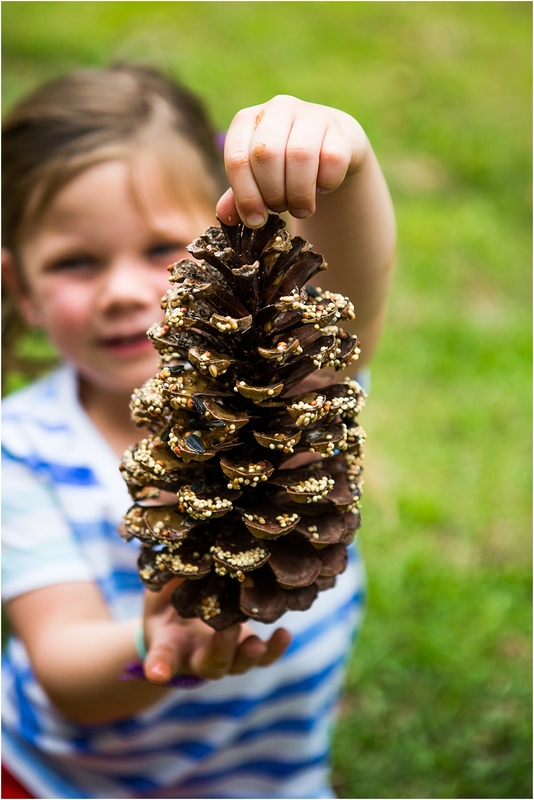 What could we attach to the pinecone to hang it on a tree branch with? They said string- so we grabbed some yarn! We chatted about our bird seed – the colors, the shapes. We even talked about birds – different kinds of birds, where they live, what they eat, if they swim or fly!!! All kinds of discussions were sparked from our conversations, which gets these preschoolers minds to think and problem solve! Problem solving is the basis of engineering projects, right? 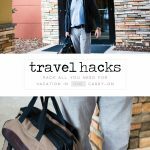 I’m married to an engineer and his brain is always figuring things out and problem solving – he usually comes up with a pretty clever solution. So here’s to training our preschooler to engineer and problem solve! 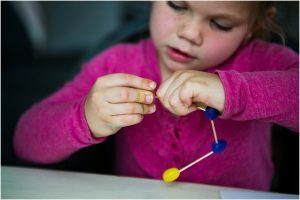 As Colleen of Raising Life Long Learners says – Engineering is all about play for preschoolers. How true this is! 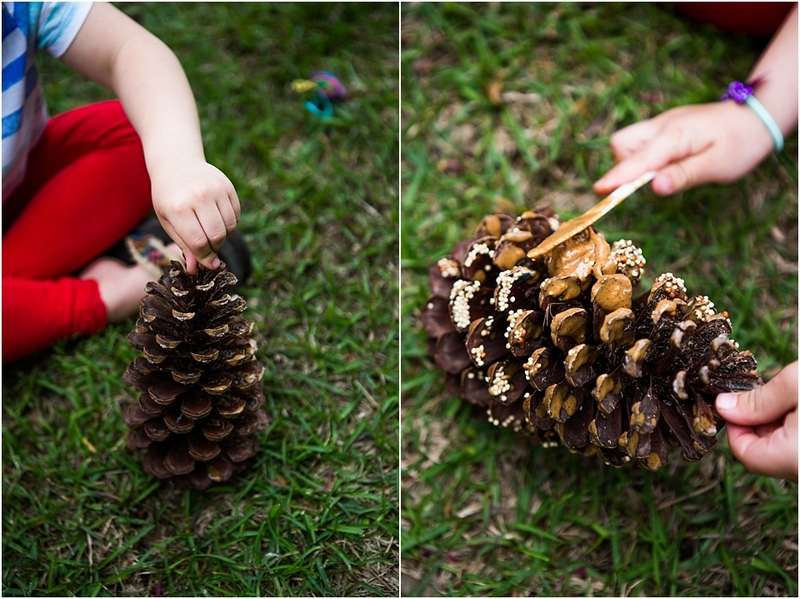 Using the plastic knife let them place the peanut butter on the pine cone. The messier the better!!! 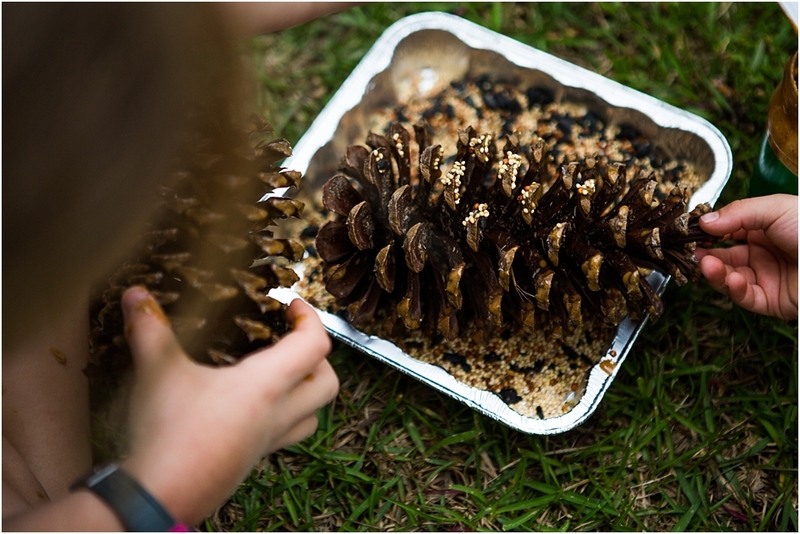 After their pine cone is covered in peanut butter roll it in the pan of bird seed. 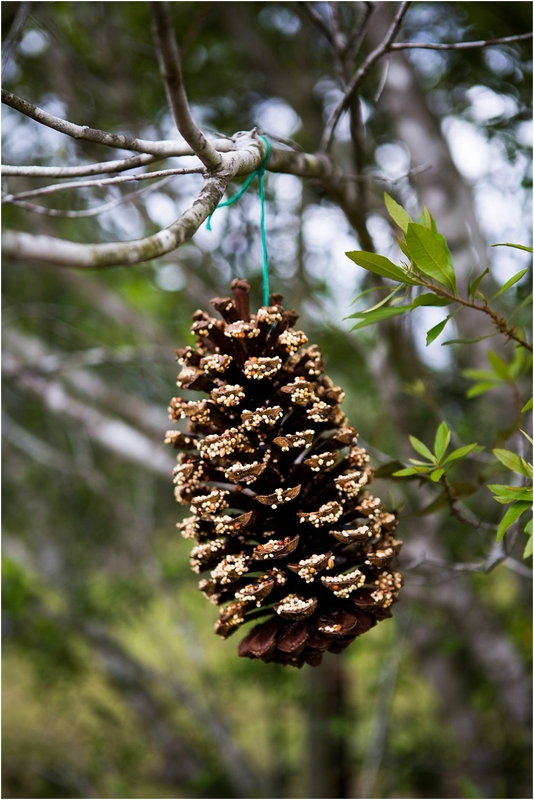 Place pine cone a nearby branch so you can observe birds eating in the hours and days to come. The very next day we saw some beautiful red birds all around the bird feeders, enjoying a nice little lunch! It was super exciting for our preschooler to observe the birds eating. This, again, gave us a lot of conversation to discuss what we had done and more about the birds and nature. 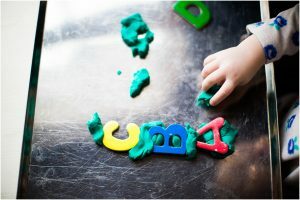 Remember through STEAM Activities for Preschoolers the process is very important. Thinking through these five steps and giving that process time through your activity is vital. 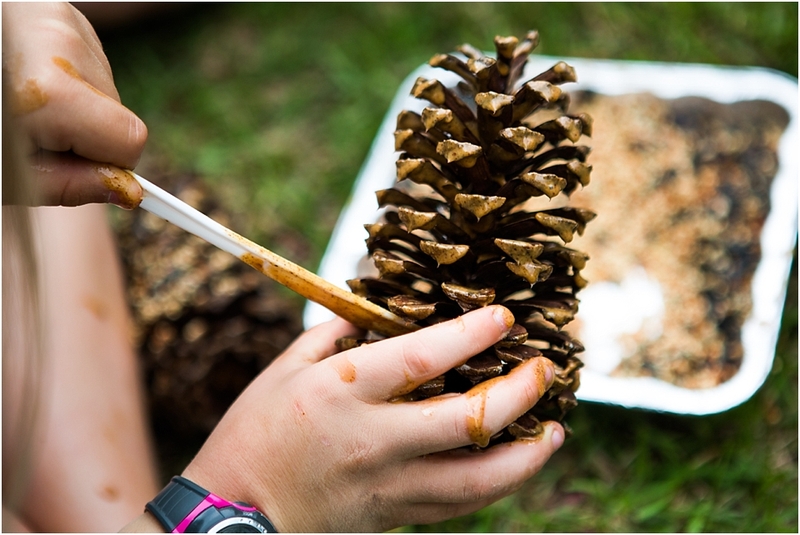 For us we investigated while picking up pine cones, talking about what birds eat, discussing the sticky substance that would help the bird seed stick to the feeder. Letting them create on their own! 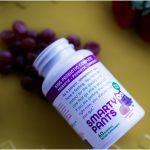 Hey moms, teachers, they are going to make mistakes and they aren’t going to do it exactly how you would. This is part of the process. Let them fail so they can problem solve and figure out what went wrong or what they did wrong. This is where they will learn the most through the STEAM Activities. We were able to reflect the next day as we were watching the birds eat, which opened up our discussion to think on what we engineered and how we built it. Get your preschoolers and kids talking…that is key in the whole process and ending with reflecting. Technology- Talk about what tools do we need to make a bird feeder. 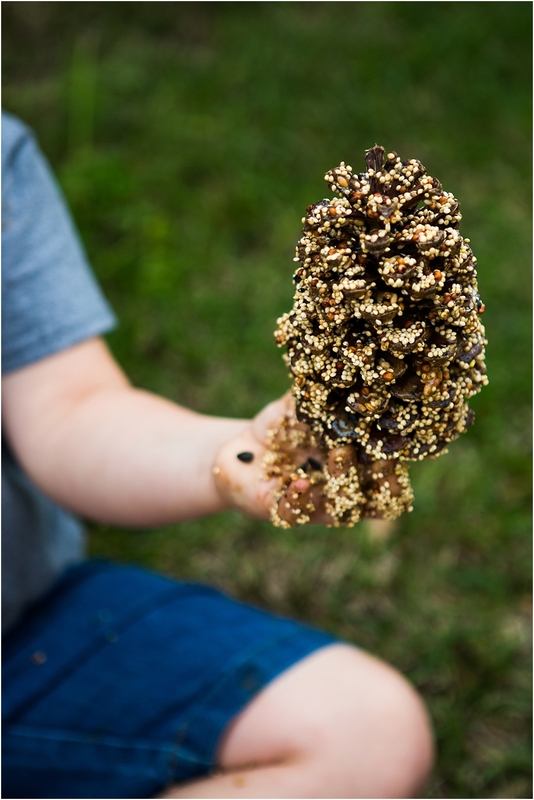 Art- You could have your older students draw a picture of the bird feeder they made with a bird. Math- We counted how many bird feeders we made. For more projects visit: Engineering Projects for Preschoolers or tap below.